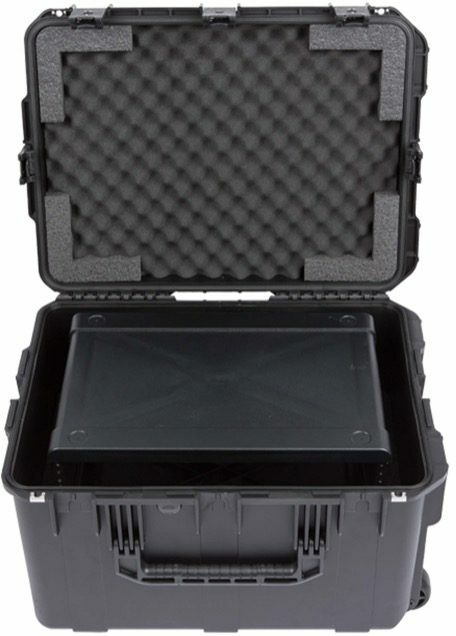 The SKB 3i-231714WMC 4U Wireless Mic Fly Rack allows for transport of both rack equipment and wireless transmitters all in the same case. 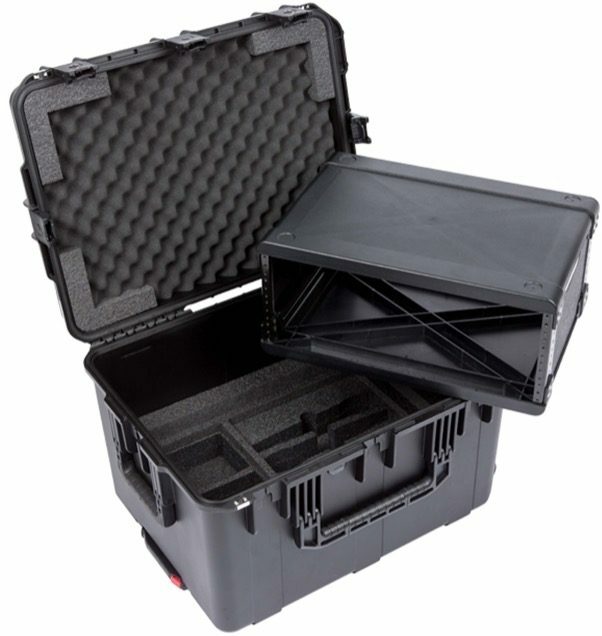 This case features a 4U injection molded rack frame with space below for four wireless handheld transmitters and four body pack transmitters, with additional space for smaller accessories. 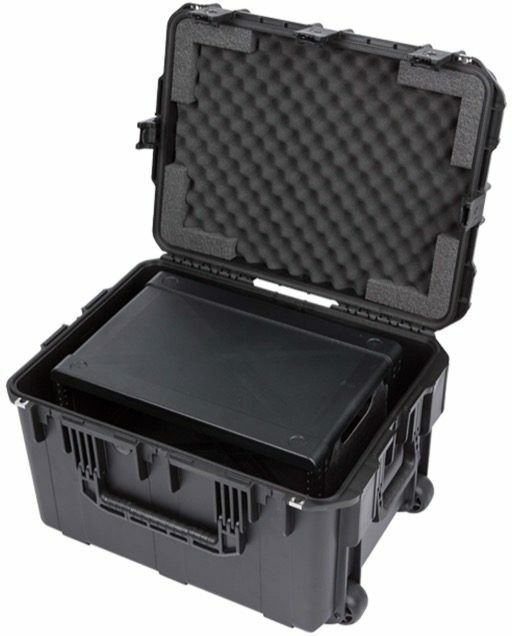 All SKB iSeries Injection Molded Mil-Standard Waterproof Cases are molded of ultra-high-strength polypropylene copolymer resin, and feature a gasket-sealed, water and dust tight, submersible design (MIL-C-4150J / IP67). 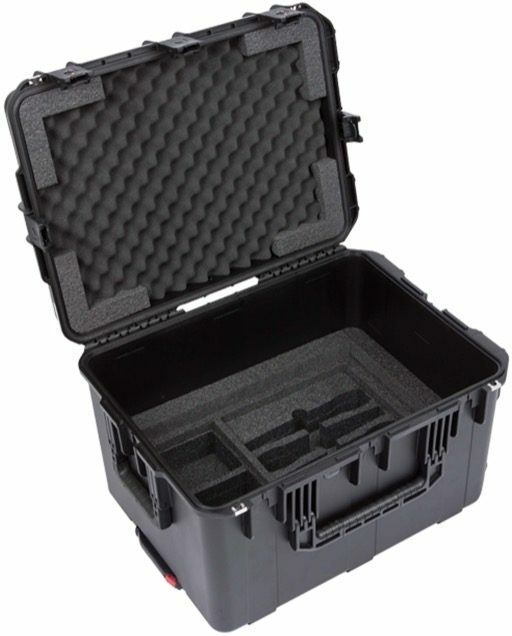 Other standard features include a molded-in hinge, patented trigger release latch system, comfortable, snap-down rubber over-molded cushion grip handle, automatic ambient pressure equalization valve (MIL-STD-648C), and resistance to UV, solvents, corrosion, fungus and impact damage (MIL-STD-810G).